Join Bill and Gloria Gaither every other month in celebrating faith, family and uplifting music. 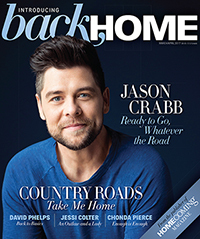 Each issue features behind-the-scenes news from the Homecoming family, interviews with intriguing people of faith and inspirational reflections from best-loved artists, plus reviews of the latest books and music, recipes, home décor ideas and more! access PLUS Just Call It Southern, Vol 9. Featuring 40 of your favorite Gospel songs FREE! Just Call It Southern, Vol 9. Featuring 40 of your favorite Gospel songs FREE!